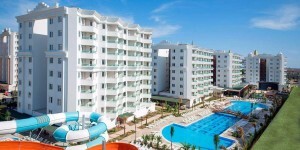 IC Hotels Santai Family Resort is a well known family resort in Antalya. Welcome to the IC Hotels Santai Family Resort, located in Antalya and just 30 km away from the Airport. It is one of the best hotels in Antalya city for you to have a fantastic holiday experience with your family.